However, looking at it in the light on Sri Aurobindo’s thought, diffusion is also part of Nature’s process. Concentrated incubation of the New Ideal or Idea through original creativity….. stable preservation of the purity of the idea through deep contemplation, scholarship and learning…. wide diffusion of the idea though mass-communication…… these are the three processes by which Nature establishes the idea in the collective consciousness of the race…. the first two counteracting the third, which as Vivekananda points out, may lead to a certain amount of dilution and degeneration of the idea. But diffusion of the idea is also needed because, without it, culture remains confined to a few elite groups and may not lead to the cultural elevation of the whole community. For a sustained progress in culture, a Nation has to encourage individuals and promote institutions which do the work of all these three processes. Secondly, the soul of a religion cannot be kept alive by scholarship alone but mainly by practice, sadhana, and experience or in other words, a living inner communion with the divinity. In ancient India, this practice and experience were preserved and kept alive by generations of families of the Gurus, Guruparampara, transmitted through many generations of disciples, becoming gurus. This may be more of an inner death than an outer disappearance. Outwardly the religion may survive or even proper materially in terms of wealth, power or head-count. But when the spiritual force infused by the mystic is not there, religion loses its soul. 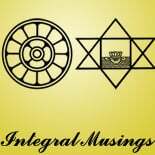 This entry was posted on April 4, 2017 by integralmusings in Religion, Spirituality & Philosophy.